A woman was shot and killed by a man with an assault rifle at the Wawa at 151 Old Sugartown Road, in the Wayne Section of Radnor Township, police said. Investigators found a woman, dead with multiple gunshot wounds, and are saying the shooting was a targeted attack. 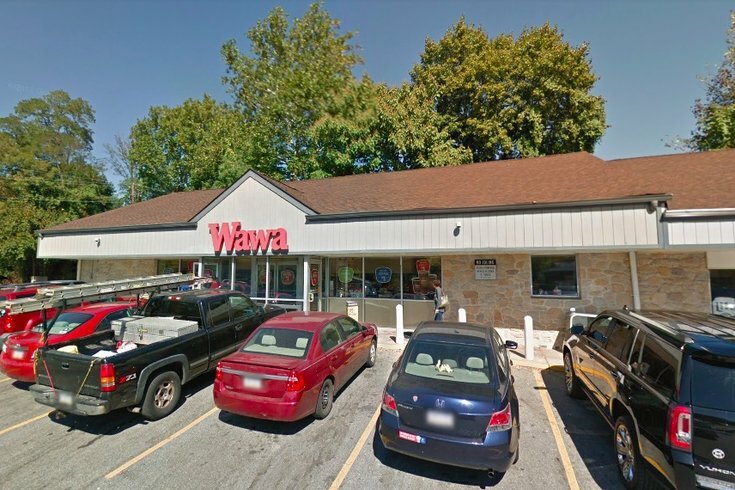 Update, 2:41 p.m.: Brian Kennedy, 34, of Devon, Chester County, has been arrested and charged with Thursday night's fatal shooting of woman at a Wawa in Radnor Township, Delaware County District Attorney Katayoun Copeland announced Friday afternoon. The victim has been identified as Stephanie Miller. Kennedy, who was quickly identified from surveillance video from the Wawa, is charged with first and third degree murder and related offenses, according to authorities. Police said Kennedy left the scene in a black BMW after the shooting, and was taken into police custody about two hours later in Thornbury Township, Delaware County. Miller and Kennedy have a child together, investigators said. Police who arrived at the Wawa said Miller was found on the store's of the floor with gunshot wounds to her head and abdomen. Kennedy had arrived at the Wawa to meet Miller, police said. When he got to the convenience store, he allegedly retrieved the DTI AR-15 assault rifle from the trunk of his car, entered the building and opened fire at the victim, authorities said. Original story, 9:43 a.m.: A woman is dead after a man shot her with an assault rifle in a Delaware County Wawa during what police are describing as a targeted attack. Police responded to the attack around 8:30 p.m. Thursday, at the Wawa located at 151 Sugartown Road in the Wayne section of Radnor Township. The woman, Stephanie Miller, was found dead with multiple gunshot wounds when police arrived. Surveillance footage shows a man, identified as Brian Kennedy, of Devon, entering the Wawa with what investigators have identified as an AR-15-style assault rifle, officials said in a release. The footage shows him firing shots from the rifle. Though other witnesses were in the store at the time of the attack, no other people were injured in the shooting. Kennedy reportedly left the scene in a black BMW, but two hours later he was taken into police custody about 15 minutes away in Thornbury Township. Kennedy was first taken to a hospital for medical evaluation. He will face charges once released. As the investigation continues, police said that Kennedy and the victim previously knew one another and that this was a targeted attack.